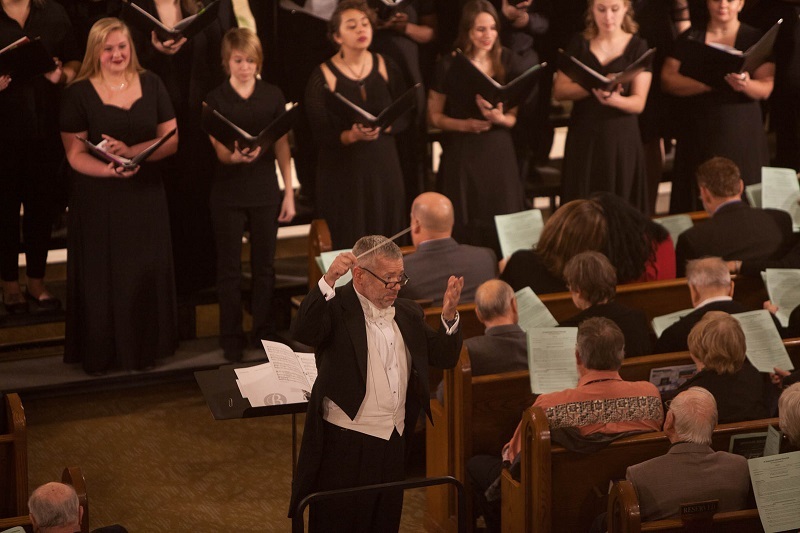 The eighth annual performance of “A Seasonal Choral Flourish” will be offered at 7:30 p.m. Friday, Dec. 8, and Saturday, Dec. 9, at St. Peter the Apostle Catholic Church, 812 S. Pearl Ave. Under the direction of conductor David Sharlow, the concert will feature performances by Missouri Southern’s Chamber Singers, Madrigal Singer and Concert Chorale. Glena Austin will serve as accompanist. “We’ll be performing Conrad Susa’s ‘Carols and Lullabies: Christmas in the Southwest,’” said Sharlow. “It’s in Spanish and features marimba, harp and guitar. There will also be some classical pieces and holiday favorites. Pre-concert music will begin at 7 p.m. with the Missouri Southern Trumpet Ensemble and Brass Quintet, with Freddie Green as conductor. Admission is free and open to the public. Seating will be limited for the Friday performance.